Independence day – The day we got freedom from the clutches of the British empire after many years of struggle. It was on this day when we got all the paramount rights on our nation. India obtained independence on 15th of August in 1947 from the British dominion. But this freedom would have been unachievable without the sacrifice of many freedom fighters who had strived their whole life only for getting freedom from the 200 years of slavery. Names like Bhagat Singh, Chandra Sekhar Azad, Mahatma Gandhi, Rani Laxmi Bai lost their lives fighting for their land. We all are well aware with the struggles of MahatamaGandhiji who taught us that for every fight violence is not demanded, some conflicts could be acquired by non-violence. Considered as India’s greatest personality, he was the lead figure in getting the India long awaited freedom. Independence day is celebrated every year at the Raj Path in New Delhi, which commences by the unwinding of the National flag followed by a patriotic address by the Prime Minister and a parade by the ground forces. Schools, colleges, educational institutions, all celebrate this day by giving speeches, organizing competitions and quiz and hosting some plays on the freedom front. Independence Day- The day celebrated to commemorate India’s independence from the British Empire on 15 of August in 1947. It was on this day when Pandit Jawaharlal Lal Nehru unfurled the National Flag at the Red Fort in New Delhi for the first time. Every year the celebration is organized at Raj path in New Delhi where the Prime Minister of India unfurls the National Flag in front of the millions of people who engage in the Independence Day ceremonial. This is followed by the Indian National Anthem (Jana Gana Mana) and the prime minister of India giving his annual monologue. During this celebration March past is performed by divisions of the Indian Armed Forces and paramilitary forces . Childeren from various educational instuitions emblazon scenes from the independence struggle and depicts India’s divergent cultural and folklore. This is the day when we gather to remember the great sacrifices of freedom fighters like Bhagat Singh, Raj Guru, Rani Lakshmi Bai, Mahatma Gandhi and the list is countless. Students are given examples of these freedom fighters.The schools whether government or private, offices, colleges, universities and educational institutions remain close on this day on account of national holiday. Even in schools and other places it is celebrated with great ardor where students perform in dancing, dramas realatrd to patriotism , mimics of various freedom fighters and students also take part in various quiz competitions. Some people celebrate it in their own way by buying the National Flag, watching movies where leitmotif is freedom fighters, listening to patriotis songs, spending time with their family and educating chlderen that how can we learn from those freedom fighters. Nonetheless, one day is not enough to think of all the deeds made out by the freedom fighters, they should perpetually be in our memories and held as a source of divine guidance. Independence day- One of the greatest day in the history of India when we got freedom from the British slavery after 200 years of hard struggle. Independence day is celebrated annually on 15th of August to enshrine the first day of freedom of India and also to remember all the sacrifices of the freedom fighters wh did sacrifice their lives in getting the freedom so that the coming generations can enjoy an amicable and splendid life. Post Independence people were not allowed to educate, eat heathly and live a carefree life like we do now. Only the Britishers were educated who treated Indians as their slaves, were not given their proper share even after so much of hard work, peasents were made to follow the meaningless orders of the Britishers, women were looked down and even stones were put on the thinking power of the people. It took Pandit Jawaharlal Nehru many years to eradicate the problems like Poverty, illiteracy, child marriage, dowry and bribery, though these problems still prevail in our system. Every year a big commemoratory event is organised by the government at Raj Path in New Delhi where people of varied creed and culture congregate. The ceremony is inaugurate with the unfurling of the national flag and Twenty-one gun shots are fired in honour of the pensive occasion. This is followed by a patriotic speech by the prime minister of India who in his articulation highlights the achievements from the past years, throws light on the imperative issues and calls for added development.Indian national anthem, “Jana Gana Mana” is sung. The Idian Flag’s tricolor epitomies saffron for courage and sacrifice, white for peace and rightness and green for faith and valiance. We gather on this day to remember the great sacrifices of freedom fighters like Bhagat Singh, Lala Lajpath Ra,Rani lakshmi Bai, Jawahar Lal Nehru, Matahama,Chandra Sekhar Azad Gandhi Netaji Subhash Chandra Bose. Students are given examples of these freedom fighters and are made to realize that if they want to achieve something in life it needs lot of sacrifies, hardwork and patience. In schools, colleges, universities and educational instuitions Flaf hosting ceremony is done usually by the prime member of the organization or by some eminent personality who is taking part in the ceremony as a chief guest. Cultural programmes are also organized by the students. Dominant government buildings are often decked up with lights. In some other cities specifically National capital, Delhi ,occasion is often graced with kite flying. 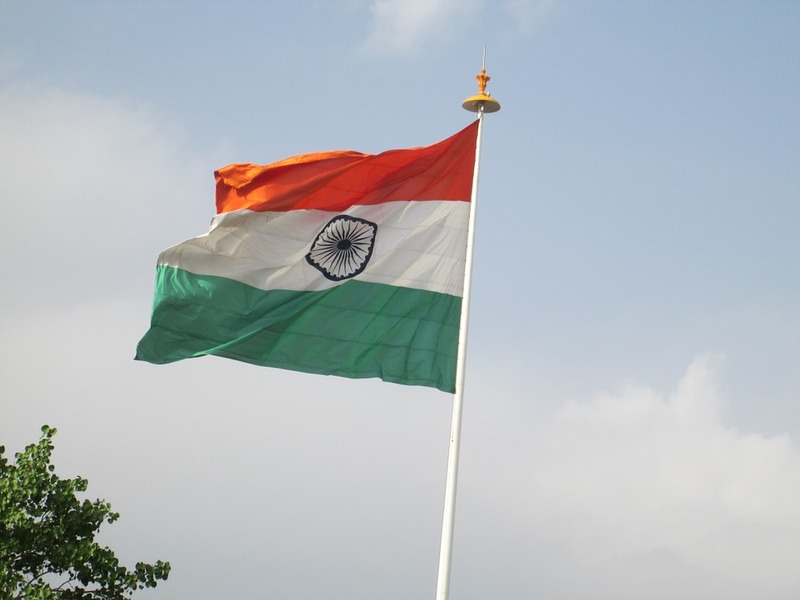 National flags of contrasting sizes are used to embody fidelity to our mother India. People usually beautify their clothes and their sorrundings with tri-colour representing the Indian National flag. Some people celebrate in their own way by watching movies based on freedom fighters, listening to patriotic songs and going on outings with family and friends. One day is never enough to pay homage to all the freedom fighters, infact they should remembered everyday and held as a source of direction.